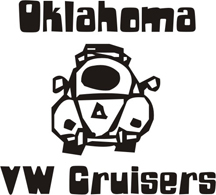 Oklahoma Vw Cruisers • Generator light on! Hey guys I need some advice. I'm a newbie with electrical issues...got some gremlins. My generator idiot light (red light) stays on until 2300 rpm. Cleaned all connections, applied some di-electric grease, generator polarized fine, put new brushes in, all electrical connections to Voltage regulator are good. Possible bad voltage regulator? Any suggestions ? Yes, it could be the voltage regulator and its very eazy to change out so I would try that first. Then if that did not fix it then go to the generator. Make sure all grounds are good. The regulator grounds through itself, so make sure its tightened down well and the paint/rust is free near screw holes. Generator is the same, so make sure trans ground strap is good. I know you said the light works, so i doubt its the prob, but make sure speedo is grounded and the + wire is good too. Thanks Jim and Fireplug, I will go over all the ground connections tonight! If that doesn't work I'm thinking it's time to go with an Alternator (1600 w/ 40kads crammed into a 66 ). Anyone have good luck with the 'new' Bosch alternators? One other thing, my gauges will stay on for a while then all go dead. When I shut off the car and turn the key back on they all work again.... regulator freaking out? 66 is a mechanical tho? new bosch are good, so are the chinese from a vw shop. autozone, oreileys are junk. if you get one save the gen as a spare incase. If you are still looking for a regulator, I have a new one and some used ones somewhere in the garage. Ah- correct Jim...mechanical it is. Thanks for the suggestions on Alternators.